Compact Blow Out Preventer (BOP), hydraulically-operated Fail as Is (FAI) ram valve. 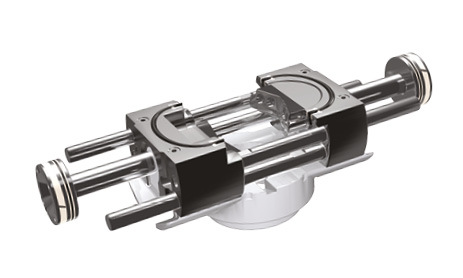 The En-Balance is a Compact Blow Out Preventer (BOP) designed for subsea open water applications and can be deployed through a standard 49.50” rotary table aperture. The En-Balance actuator stems are balanced to internal pressure, pistons move in unison with the ram actuator stem causing internal volume to remain constant as the rams traverse across the ram cavity.